Click on above picture for larger view. What do you get for the dog or dog owner who has everything? A mink dog collar! We make these to order to fit your dog's neck. You can either order the collar only or the collar with a leather strap and a mink covered handle for you. Please allow 2-4 weeks for delivery. All orders must be prepaid. Collars are made with brown mink. 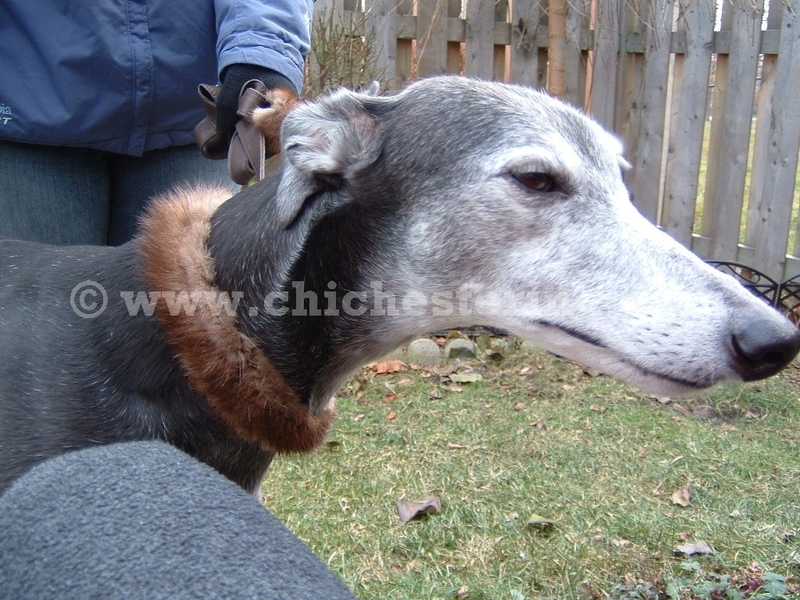 The collar is modeled by Sadie, a beautiful Greyhound living with Michelle and Derek Spencer.